Sometimes, a king gets a bad wrap. This seems especially true for Vayetse, Livy and Ginny, the lions in this "Lion Whisperer" video. The clip captures not fierce, growling, bloodthirsty beasts but playful cats displaying a relaxed rapport with each other and Kevin Richardson of the Kevin Richardson Wildlife Sanctuary. "They are not inherently mean or malicious," says Richardson. "They are social animals, and they actually have the ability to be extremely affectionate. However, having said that, they don't actually understand their own strength, and sometimes, unwittingly, just in play, they could injure you quite badly." According to the website "The Science of Correspondences," lions hold a great amount of strength in their large leg and neck muscles. This ability allows a lion to topple a large ox before carrying the beast away in his mouth, using that neck strength. However, Richardson's three feline pals seem uninterested in taking down an ox, preferring instead to rub in a patch of antelope urine. Richardson laughs that this scent appeals to the big cats just like catnip excites a house cat. 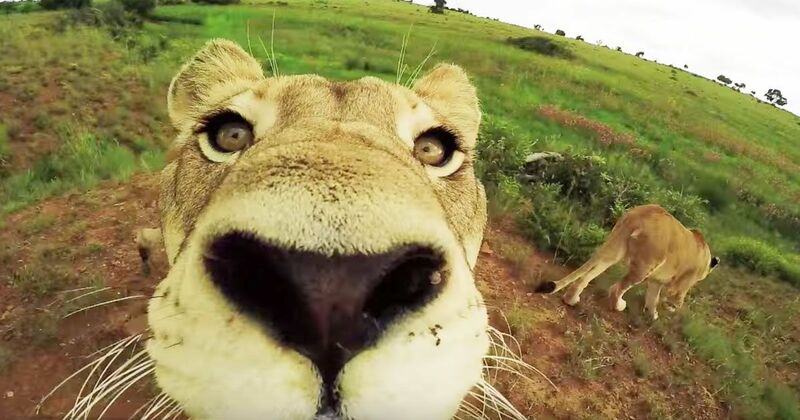 Share this video of "mean" lions with your friends and family and see what they think about these powerful yet playful cats.